If you have a lot of listings for sale, it can be frustrating for website visitors to page through them all while looking for homes of interest. Consider grouping like properties together (examples: pool, luxury, vacation, condos), and then creating a specific sub-menu entry that brings up only that group of properties. Instead of one “Featured Properties” page and menu, you could have a button “Featured Properties” and then dropdowns that appear and describe groups of properties; rentals, vacation homes, luxury homes, condos, and the like. Each of those dropdowns (sub-menus) can then point to a page or list of just those properties. 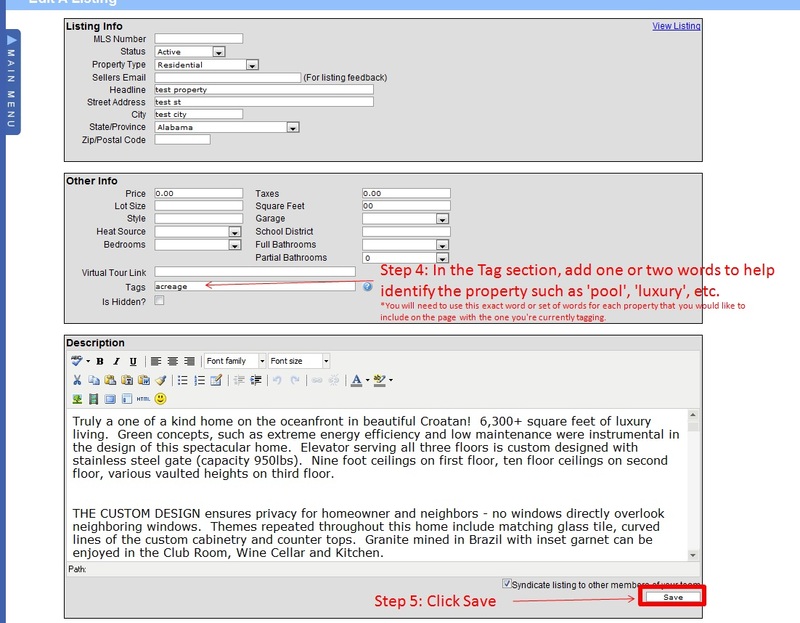 Step 4: In the Tag section, add one or two words to help identify the property such as "pool", "luxury", etc. 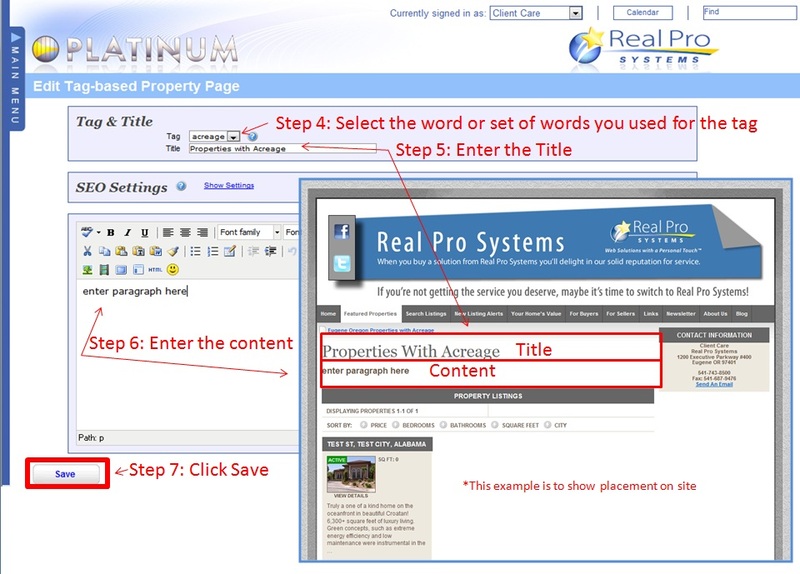 *You will need to use this exact word or set of words for each property that you would like to include on the page with the one you're currently tagging. 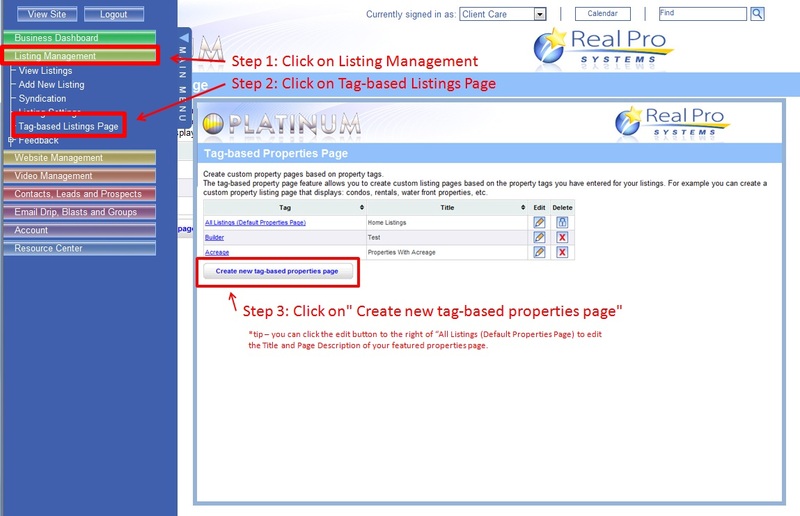 Step 3: Click on "Create new tag-based properties page"